High-shine. Gorgeous gleam. However you describe it, one thing's for certain: this necklace is sure to catch plenty of lingering looks and adoring compliments. It's adjustable to fit whatever length you need, so simply slip it on and get ready to sparkle. 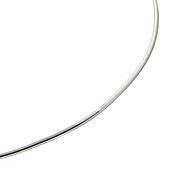 Necklace Measurements: Approx. 22-1/2"L x 3/16"W; adjusts down to 12"
Not worth $30. Very thin. I feel it will tarnish & be difficult to clean. 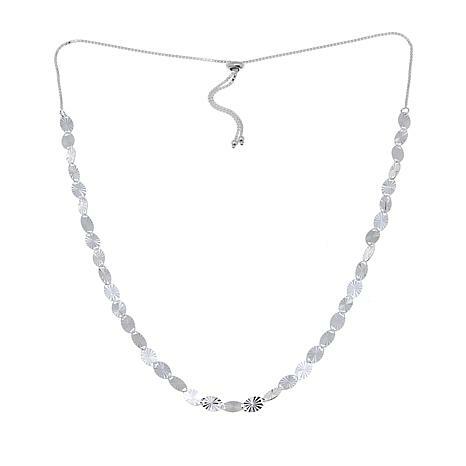 Sevilla Silver™ Elongated Box Chain Necklace Beautifully basic, but with a stylistic edge. 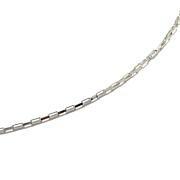 That's what you get with this elongated box chain necklace forged in polished sterling silver. Fun to layer with other chain necklaces and perfect for showcasing favorite pendants or charms.